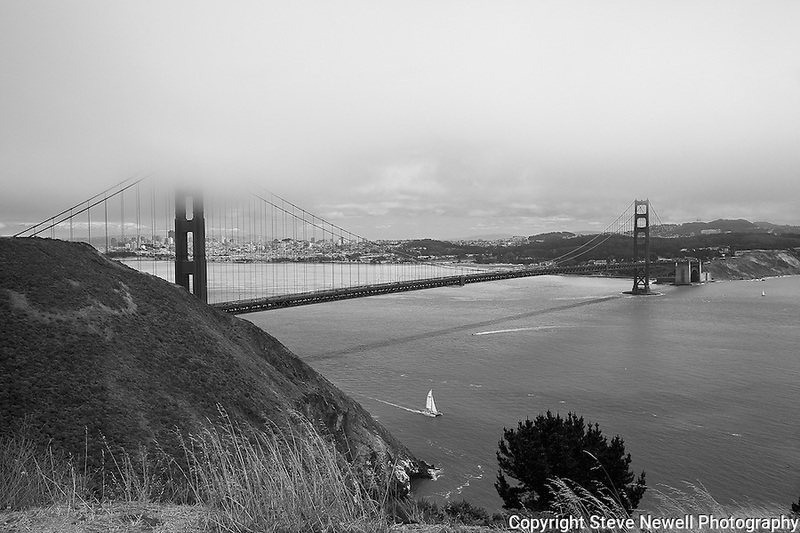 "Fun in the Bay" Black and White Golden Gate Bridge and San Francisco. Although the strait may be difficult to sail or go boating it doesn't stop people from enjoying the Bridge with San Francisco in the background. Day or night, sunrise or sunset this is some of the most beautiful scenery in all of California if not the world.